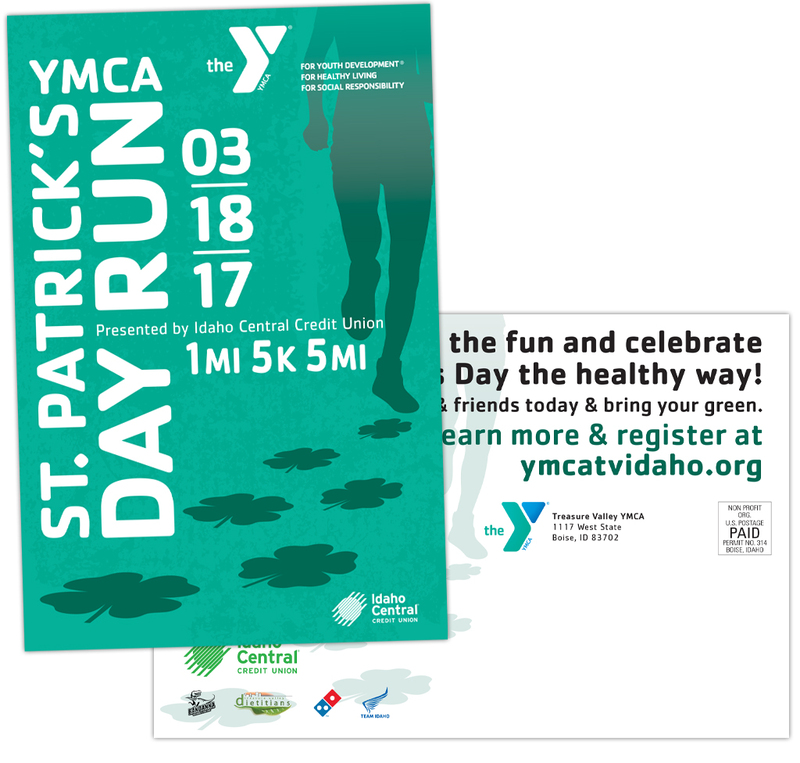 One of several of our 2017 campaigns supporting the Treasure Valley YMCA’s TriClub. 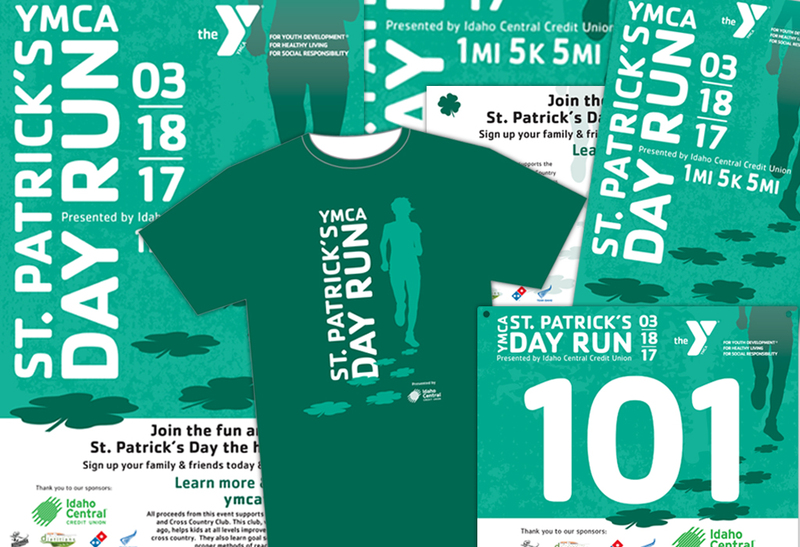 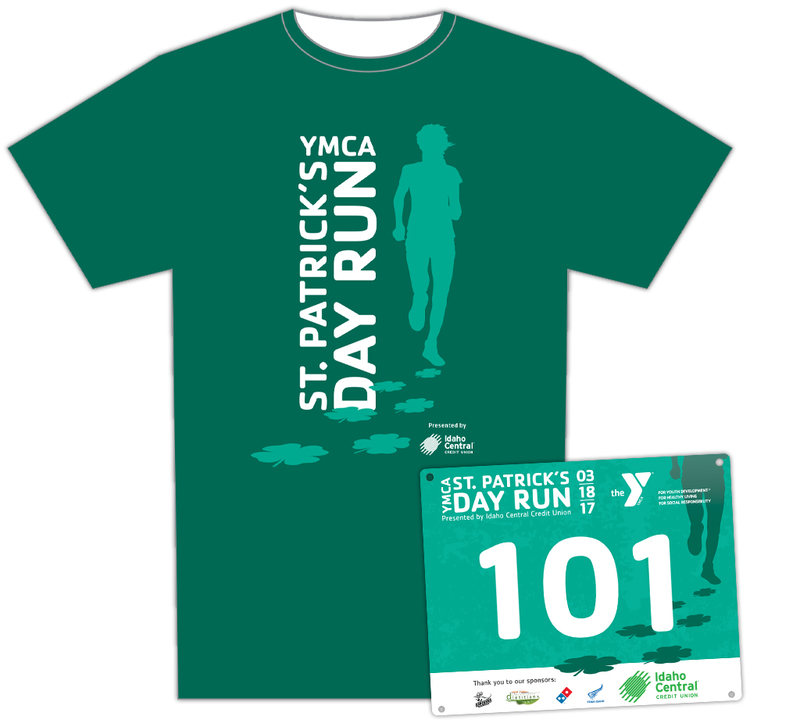 This St. Patrick’s Day Run campaign consisted of concept, design, and layout of posters, postcards, bibs, t-shirts, social media, website and registration system elements, and event marketing items. 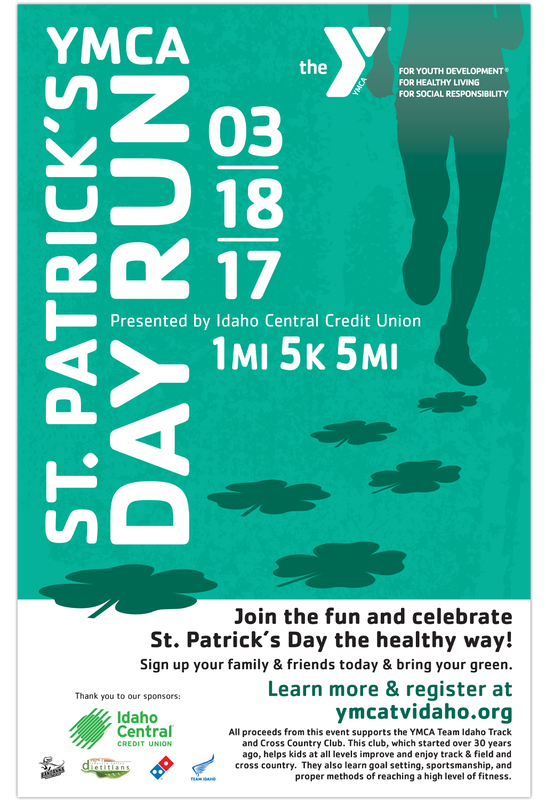 Supporting a great community partner to help promote a great a community event.